We've added over 1,000 square feet of synthetic decking with an outdoor shower stall and a foot shower! 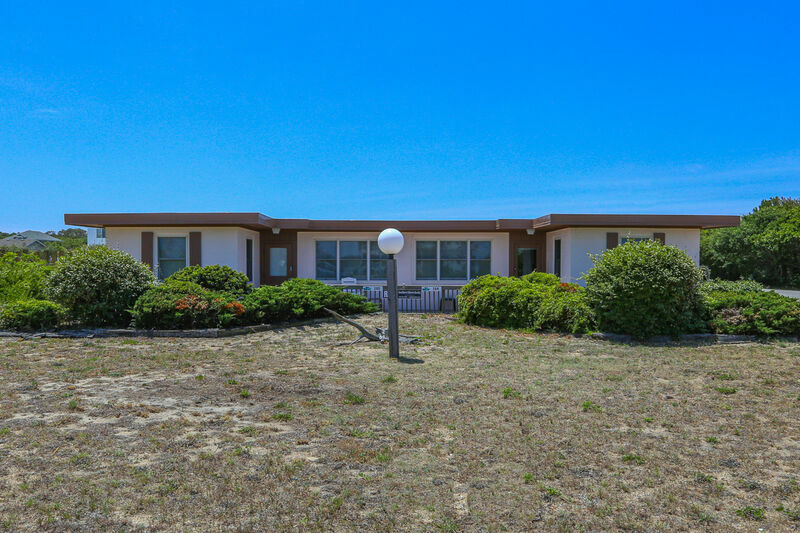 One of the original 'flat-tops' in Southern Shores - this airy, bright duplex is across the street from the beach access (15 yards), and has the flexibility of accommodating small or large groups. Units separated by double doors. Each unit has been completely modernized and upgraded - south unit has access ramp and handrail in bath. Rent both units together and have a four bedroom two bath cottage, with two living areas and space for up to 12 people. $185 discount off total rent if both units rented together.